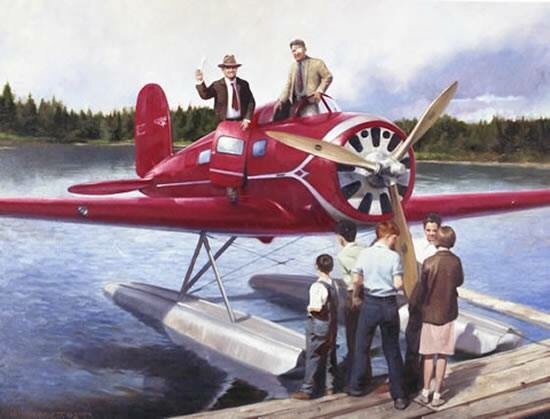 Wiley Post and Winnie Mae – Mark Loves History! 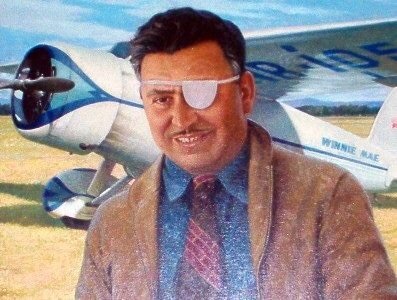 Today in History, July 22: 1933 – After a 7 day, 18 hour, 49 minute flight, Wiley Post completes the first SOLO around the world flight in his already famous Lockheed Vega, Winnie Mae, greeted by a crowd of 50,000 at New York’s Floyd Bennett Field. 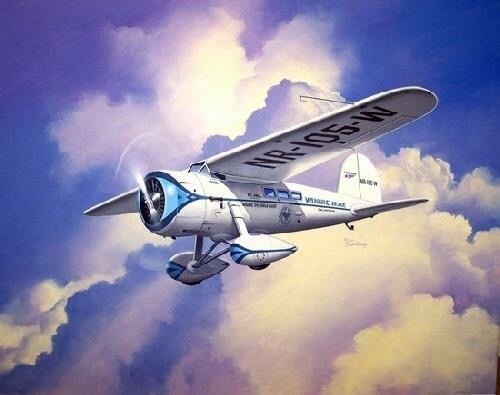 He beat his own time from an earlier non-solo around the world flight in the same airplane. He was honored with his second New York ticker tape parade. Post also used Winnie Mae to set high altitude flight records, designing a pressurized flight suit to do so. He also made use of the Jet Stream in his flight tests. In 1935 he and another of Oklahoma’s favorite sons, Will Rogers, would die together in a plane crash at Point Barrow, Alaska. Winnie Mae can be visited at the National Air and Space Museum in Washington, DC.